The courage of those in public life who have taken personal and political risks to defend the right to life has been praised by the Bishop of Elphin on New Year’s Day. In his homily for World Day of Peace and the Solemnity of Mary Mother of God, Bishop Kevin Doran criticised members of the government and opposition parties who supported the campaign to repeal the Eighth Amendment while describing themselves as practising Catholics. At the Cathedral of the Immaculate Conception in Sligo on Tuesday, he said there was “a genuine sadness that Catholics have been among those who publicly and persistently promoted the taking of innocent human life, whether for political or ideological reasons, or for their own personal advancement”. 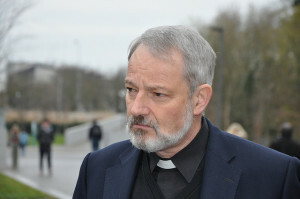 On the first day that abortion services were rolled out across Ireland, Bishop Doran said his message to public representatives was “pastoral and spiritual”. “Trusting in the mercy of God which knows no limits, I invite you to turn back to the Gospel of Life where you will find true peace,” the Bishop of Elphin challenged. “It is tragic that today, when paradoxically we celebrate the Motherhood of Mary, the fruit of political action which is being celebrated by our government and parliament, is the fact that today we have the beginning of what they describe as ‘services for the termination of pregnancy’,” Dr Doran told his congregation in Sligo. He said a great deal of political energy had gone into achieving “this fundamentally destructive target; energy that could otherwise have been used to do other things that would give life and hope to our society”. He also warned that the denial of the fundamental right to life would undermine the common good of Irish society. 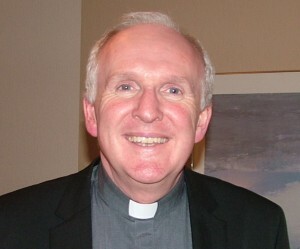 On the nature of the role of public representatives, Bishop Doran said those who have responsibility for the common good and for the formation of public policy carry a particular burden of responsibility for the consequences that their decisions have, not only for themselves, but for society as a whole. He also highlighted the sense of helplessness that many feel with so many people stuck in refugee camps and direct provision centres; when families are without a home of their own; and when so many sick people are waiting on trollies for essential medical care. “It is hard, if not impossible, to create peace when human rights are denied,” he warned. Elsewhere in his homily, the Bishop of Elphin referred to Pope Francis’s Message for World Day of Prayer for Peace, in which the Pontiff focuses on “Good Politics at the Service of Peace”. In his message the Pope stresses that politics is an essential means of building human community and institutions, but when political life is not seen as a form of service to society as a whole, it can become a means of oppression, marginalisation and even destruction. Separately, on Tuesday the Bishop of Limerick said that politicians need the support of the wider public, as politics is a career that can involve a form of martyrdom and sacrifice. Addressing the congregation at the Immaculate Conception Church in Newcastle West, Bishop Brendan Leahy highlighted that the effects of wrong politics can be devastating. He continued, “Politics can involve a form of martyrdom. It is a daily dying to self. Politicians can come under great pressure. They need our support. With a sense of realism, Pope Francis acknowledged this a few years ago. He commented how politicians don’t always get it right but he encouraged them not be discouraged, but always keep going. The negative side of politics can be devastating, he said, citing homelessness as one of a number of examples of the fallout. “When politics goes wrong there are devastating effects. It is shocking to think that one out of every six children in our world is affected by the violence of war or its effects. We know too that in Northern Ireland one in four of the population are in some way affected by the impact of the troubles there,” Dr Leahy highlighted.